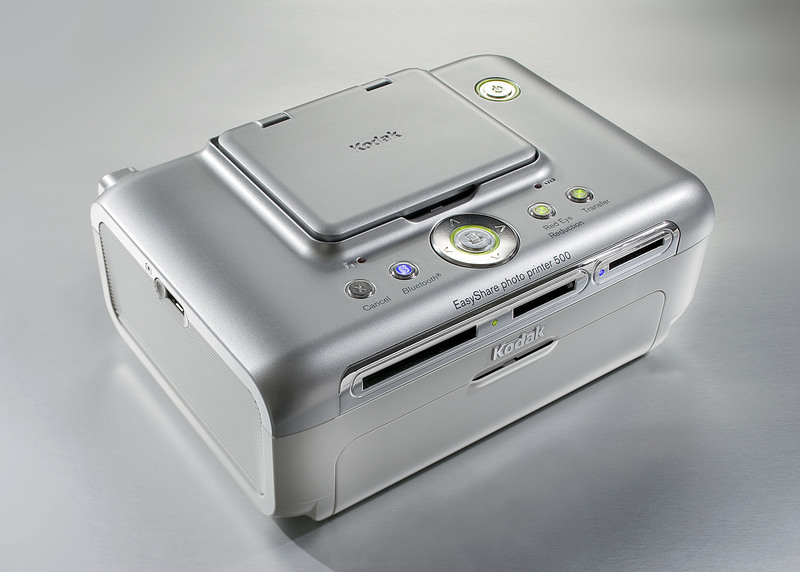 As part of the EasyShare printer design language developed by Bluemap Design the Kodak EasyShare Photo Printer, 500 debuted with the world’s largest (3.5-inch) LCD screen on a snapshot printer, which is intended for owners of virtually any brand of digital camera and recent camera phones. 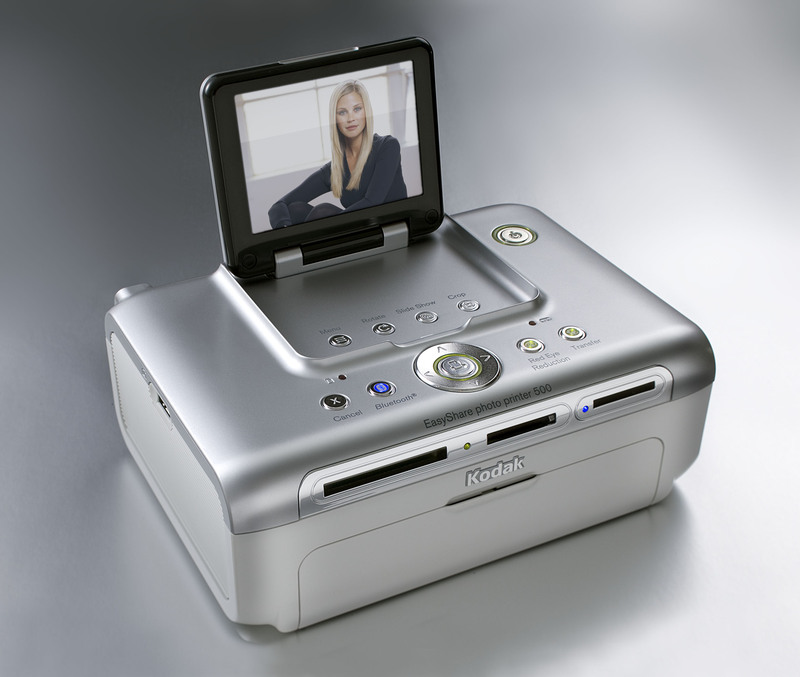 With the Photo Printer 500, people can view and edit their pictures. The LCD screen can easily be opened and closed, making it more convenient to move around the home or take on trips, as well as protecting it from dust. Our industrial design team created a sleek, wrapped metallic look fits with all your consumer electronic gear. Glowing LEDs backlight controls with natural navigation functions for perfect picture selection, quick image transfer or entertaining slide shows. 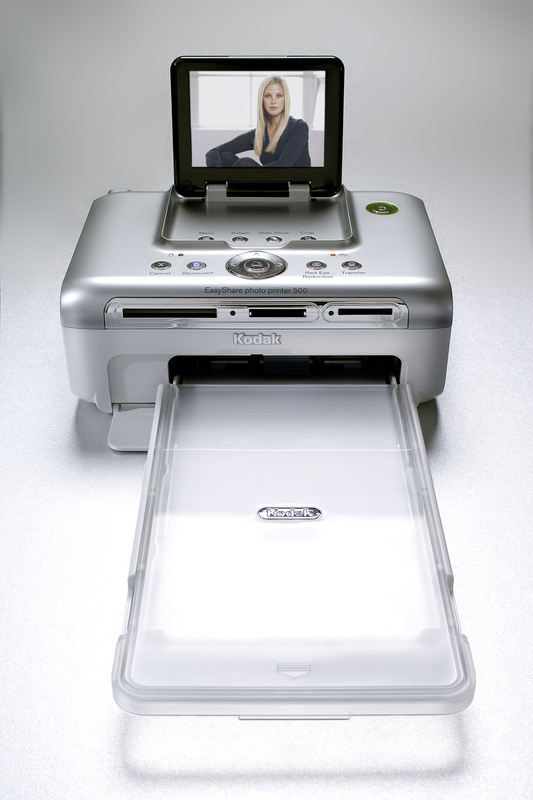 The photo printer design offers compact convenience for personal printing and easy connectivity with camera charging when on the go.